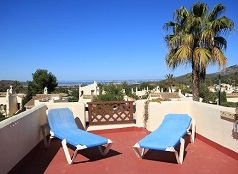 2 Bedroom first floor Bellaluz apartment - centrally located for all the amenities of La Manga Club. 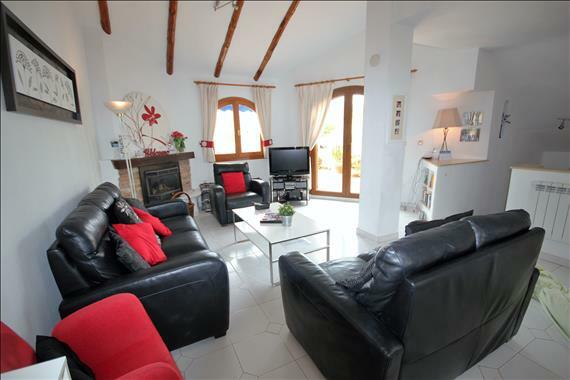 Well furnished and comfortable - perfect for your holiday with family or friends. 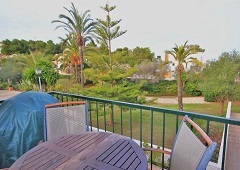 Bellaluz Ground floor apartment with terrace and two bedrooms. Sleeps 4. Recently refurbished. 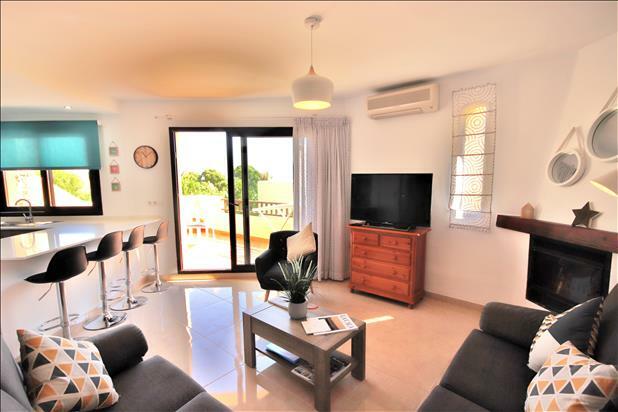 Ground floor Bellaluz apartment – with 2 bedrooms and 2 shower rooms–open plan design and recently refurbished to a high standard. Air conditioning in both bedrooms and in the dining/lounge area. 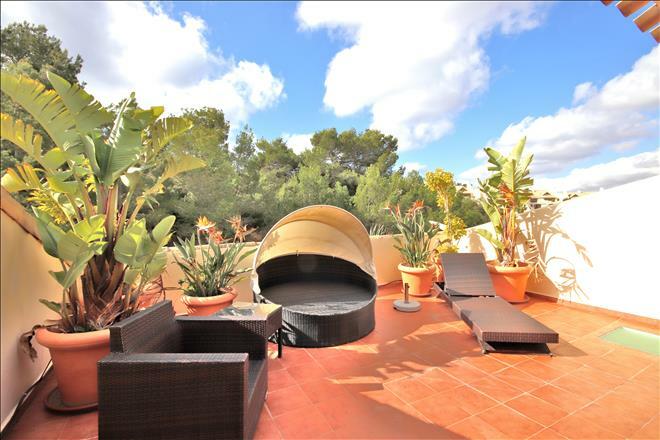 Spacious top floor 3 bedroom apartment – with extensive solarium terrace – within easy walking distance of all the amenities of La Manga Club and 5 minutes, by car, to the Golf Courses. 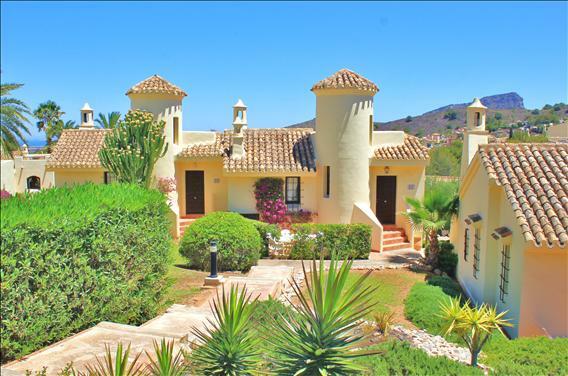 This beautiful gated detached Buena Vista villa is located close to the North golf course within La Manga Club. Very tastefully furnished to a high standard with its own pool. 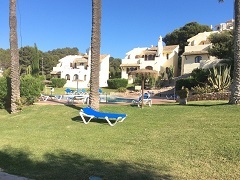 An excellent holiday choice for families or groups of golfers, tennis, football or rugby players to enjoy the facilities of this 5 star Resort. 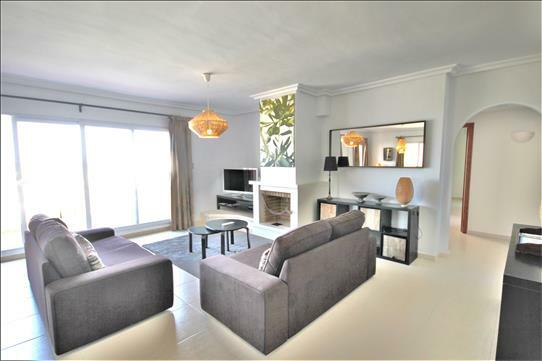 A recently modernised three bedroom apartment in the friendly and professionally managed urbanisation ‘Arpon’ La Manga Del Mar Menor. 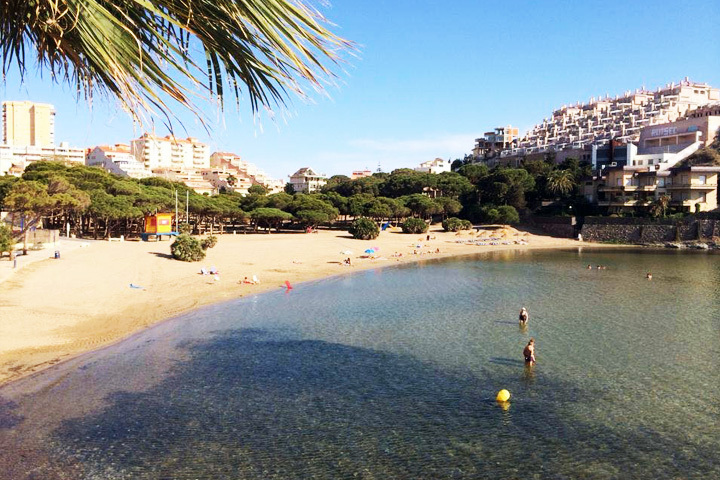 The apartment is just a one minute walk to the very safe beach cove called Cala Del Pino which is cleaned on a regular basis .The apartment boasts a very large balcony/ patio facing directly onto the Mar Menor lagoon and Cala Del Pino beach. Coto de Golf luxury 3-bedroom apartment with private splash pool, located on the North side of La Manga Club - with stunning views to the Golf course. South west facing, beautifully refurbished ground floor garden apartment with three bedrooms each with own en suite bathroom. Private pool. 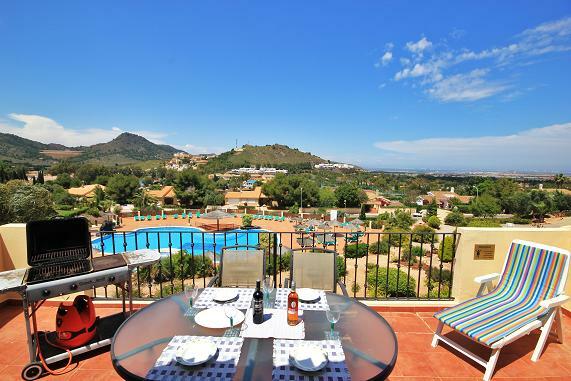 Located on the north side of La Manga Club with amazing views to the Golf course. Fully air conditioned. Free WiFi. 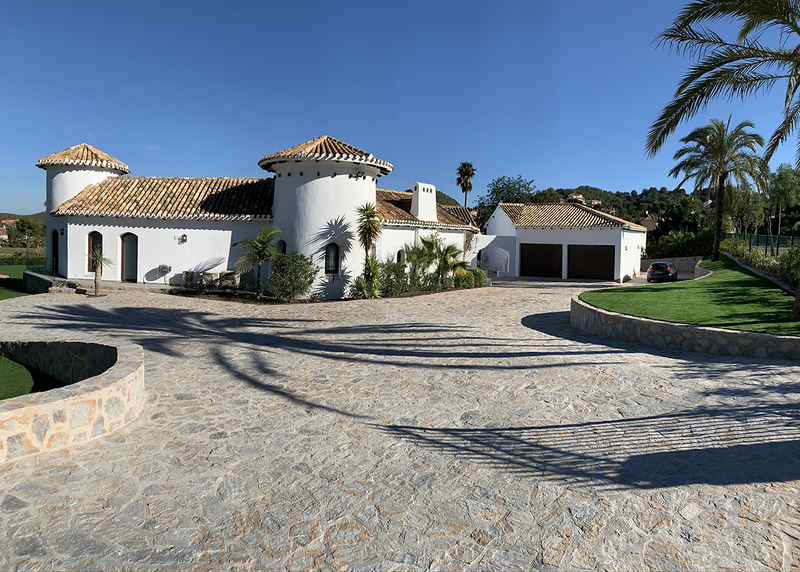 Superb 5-bedroom Villa set in El Forestal - an exclusive area of La Manga Club, discretely hidden within the hillside and offering seclusion and privacy. The accommodation is on three levels and set in a plot of 1.830 sq mtrs. With extensive terrace areas, the well thought out design offers guests private space to relax and enjoy the holiday. Further terraces are off the living area which has breath-taking views across the fairway of the South Golf Course. 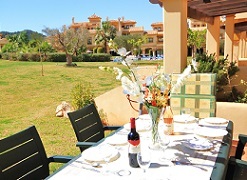 The villa is within easy walking distance of the Hotel and the supermarkets, with restaurants and bars nearby. Very comfortable 4-bedroom El Rancho community villa, with 2 en suite bathrooms and a family bathroom. Overlooking one of the 9 community pools. Lovely sunshine terraces. Parking on the roadside by the Villa. 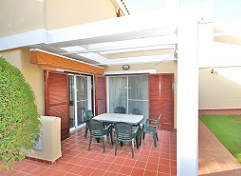 Walking distance to Bellaluz Plaza and the Tennis Centre. Modern two bedrooms / two bathrooms El Rancho community villa with choice of two community pools on your doorstep. Central location for the amenities of La Manga Club. You are sure to enjoy your stay in this well located 2 bedroom, 2 bathroom villa in the very popular El Rancho community. The property has a recently refurbished kitchen and new flooring throughout and plenty of terrace space on all levels. There are two community swimming pools almost on your doorstep. The property is only a short walk to restaurants, bars and shops. Wi-Fi is included in the rental price. Large El Rancho with four bedrooms / 3 bathrooms. Child friendly. Centrally located, just a short walk to Bellaluz Plaza with restaurants, shops and supermarket. Tastefully furnished 2-bedroom / 2 bathroom El Rancho community villa is conveniently located between two of the nine community pools . Ideal for couples or groups of friends who enjoy golf and tennis. Free Internet access. Well located 2 bedroom villa in the very popular El Rancho community. With two bathrooms and recently refurbished kitchen and new aluminium doors and windows. There are two swimming pools almost on your doorstep. Short walk to restaurants, bars and shops. WiFi included. Short walk to restaurants, bars and shops. WiFi included. 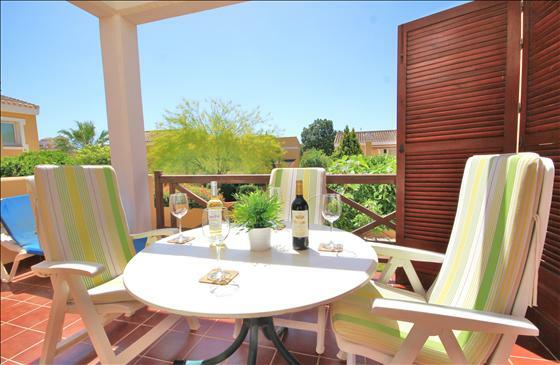 Well located and nicely furnished 2-bedroom El Rancho community villa - with 2 bathrooms. 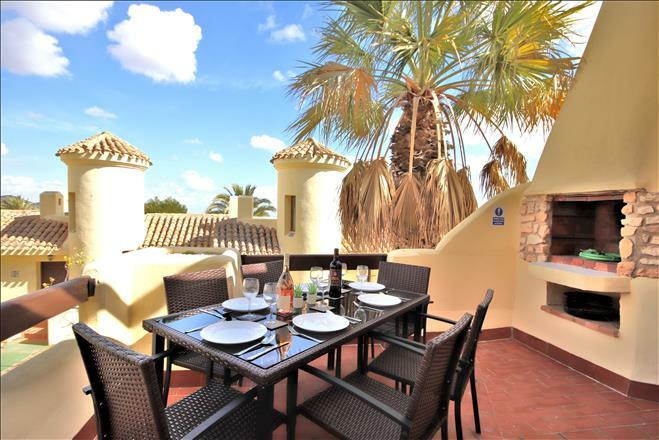 Upstairs sun terrace with great views across La Manga Club and to the Mar Menor beyond. Golf Bungalow with 2 bedrooms and 2 bathrooms: sleeps 4. Short walk to Community pool. and the 5 star Hotel Principe Felipe. Perfect central location, in a peaceful setting, with fabulous views to the Championship South golf course. 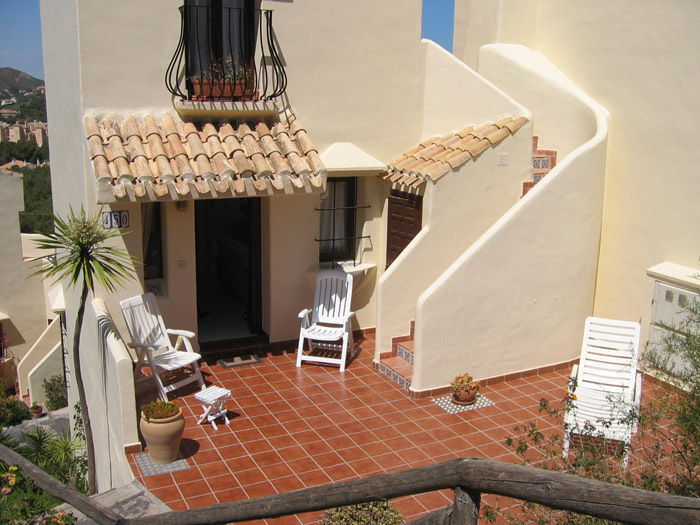 This very spacious Bungalow – all on one level – is an ideal location for your La Manga holiday. Two large bedrooms, each with an en suite bathroom. Situated next to the Hotel and overlooking the South golf course. A short walk to the Community pool. Air conditioning / heating units throughout and free WiFi. Centrally located - this 3-bedroom, 2 bathroom property is an ideal spot for your holiday experience. Two minutes´ walk to the Tennis centre. Five minutes´ drive to the golf courses. 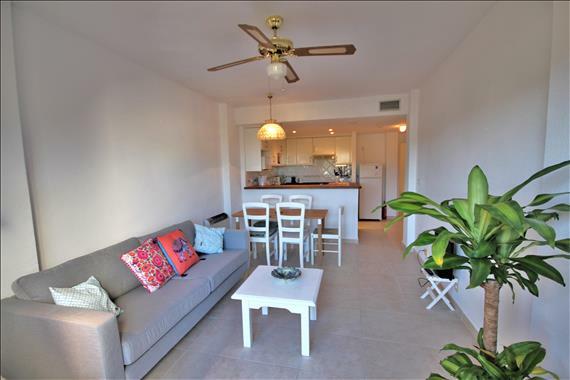 Spacious and very well furnished, South facing sun terraces overlooking the pool. Very large, comfortable and well-furnished Hacienda community villa on three levels. In an ideal central location, opposite the Tennis centre and walking distance to restaurants, bars, shops and banks. The rental price includes Internet access. Two bedrooms, two bathrooms townhouse in an ideal central location close to the Tennis centre. Community pool and gardens. Perfect for families or groups of golfers/ tennis players. Free WiFi. 5 bedroom luxury individual family villa with solar heated swimming pool and private landscaped gardens. Stunning Villa with four bedrooms and three bathrooms. 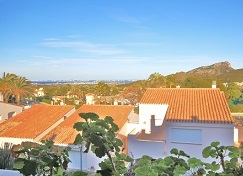 Superb views over the private gardens, golf courses and the Mar Menor beyond. Very central for the Tennis Centre, restaurants, bars and supermarkets. 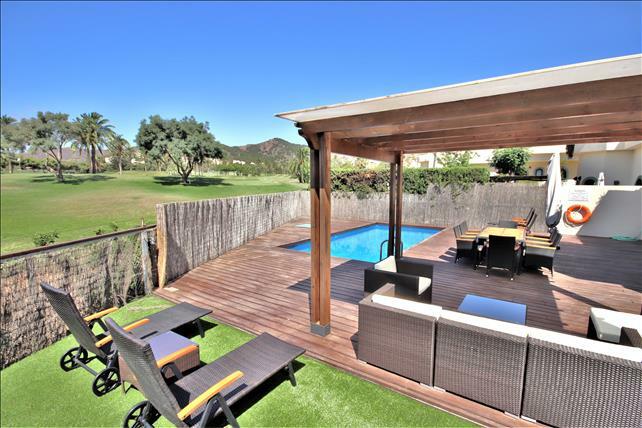 Beautiful villa near the 5th tee of South course, 5 bedrooms & 4 bathrooms, in the heart of La Manga Club. Large private pool & Tennis court. Ideal for families, golfers and tennis players. 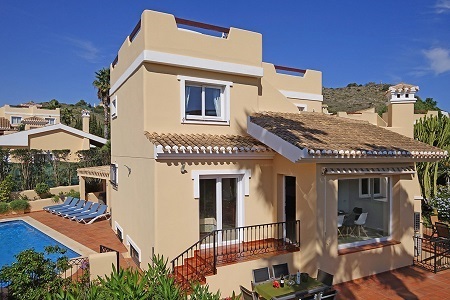 Villa with 5 bedrooms and 4 bathrooms - in an ideal central location within La Manga Club. Recently refurbished to a high standard. Great choice for a family holiday or for golfers or tennis players. 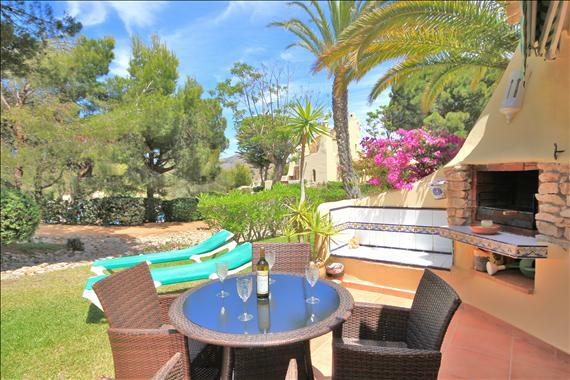 Three bedroom and 3 bathroom apartment - near to the community pool surrounded by attractive gardens – centrally located in La Manga Club - very close to the Tennis centre and easy walking to the restaurants, bars and shops of this 5-star Resort. 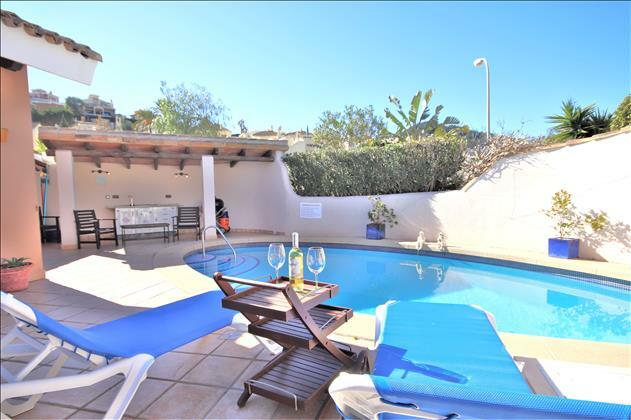 With five bedrooms and an individual swimming pool, with optional pool safety fence, this tastefully furnished modern Villa is in a well established community within La Manga Club. An ideal location for a family holiday or groups of sports people. The villa will accommodate 10 people comfortably and up to maximum of 12. There is a Games room on lower level. Stunning four bedroom / 3 bathroom detached villa with own private pool and gardens in Las Higueras community – in a central yet quiet location, approx.. 20 minutes walk from the Tennis centre. This is a superbly furnished and well equipped property. Fully air conditioned. Free wifi. A superb choice for your holiday,this well located and very tastefully furnished Las Higueras villa has 3 bedrooms and 3 bathrooms. Large sunny terrace areas around the splash pool. Short walk to Bellaluz Plaza. 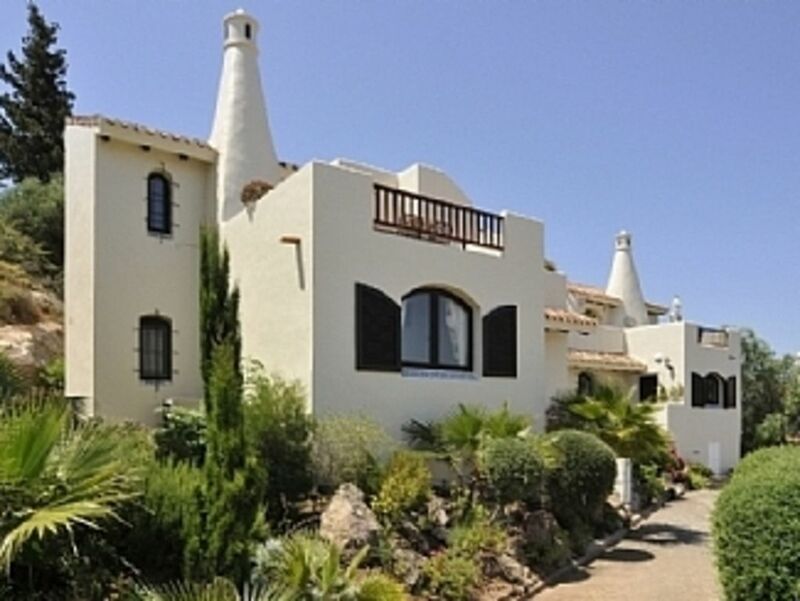 Beautiful Las Higueras villa with own pool which can be heated, 2 bedrooms & 2 bathrooms - furnished to a very high standard. 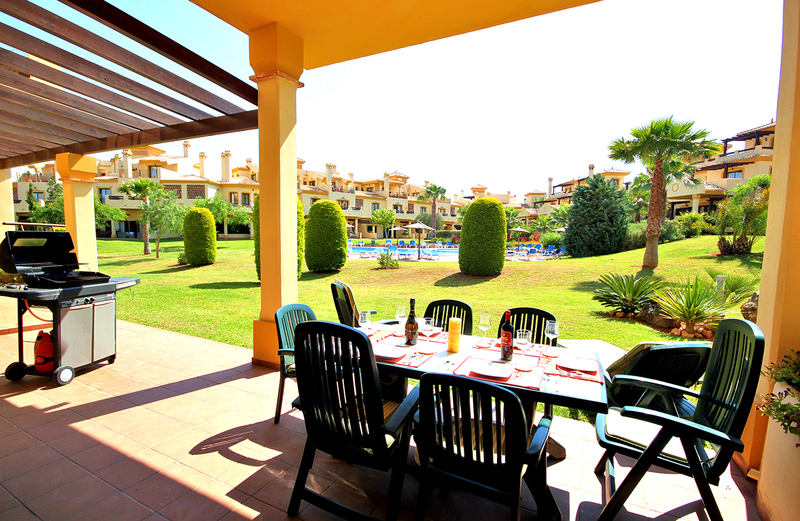 Quiet location yet close to all the amenities of La Manga Club. Easy access. 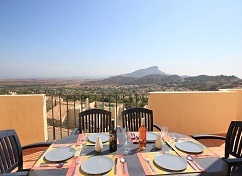 5% introductory discount.Las Higueras is a very well designed and maintained Community in the heart of La Manga Club which comprises detached villas, each with its own private gardens and private swimming pool. Las Higueras is a unique community each with their own private pool and terrace. With the exception of two steps into the living area the accommodation is all on one level, the Master Bedroom has an en-suite bathroom and there is a shower room for the 2nd bedroom The living room has patio doors which open directly onto the private pool area. Due to unsupervised swimming this accommodation is not recommended for young children or non swimmers. 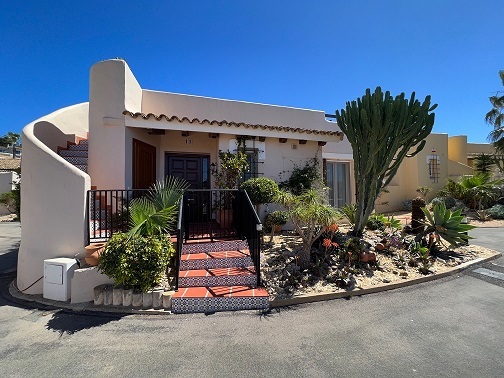 This exceptionally comfortable villa is in an excellent location for your holiday and close to the majority of the amenities on La Manga Club. Sky TV and Wifi are included. 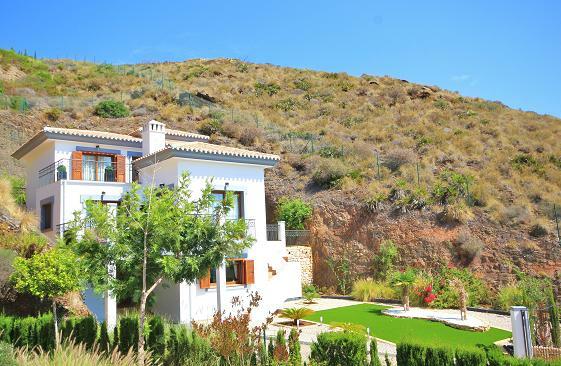 A luxury spacious 3 bedroom villa based within La Manga Club resort, Spain. Boasts some of the most spectacular views across one of the world’s great golf, sporting and leisure resorts, La Manga Club. Wheelchair friendly, including an access ramp from the car park. This delightful one bedroom Los Molinos is in an ideal central location for your holiday within La Manga Club, just a short walk to the Community pool and restaurant. 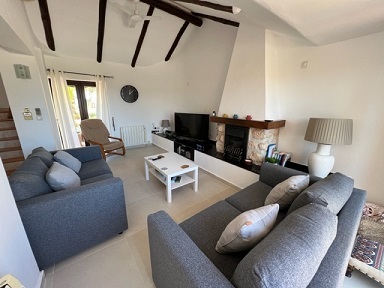 Totally refurbished and very modern Los Molinos community villa, sleeps 4, with 2 bedrooms and 2 bathrooms. Centrally located – just a short walk to the Los Molinos community pool. This property has separate units in the lounge and both bedrooms for heating / air conditioning. WiFi is included in the rental price. Please note: Pets not allowed and this is a No Smoking property. Los Molinos with three bedrooms and 3 bathrooms in an elevated location with stunning views over La Manga Club and the MarMenor. With reduced rates for golf and tennis. Well located 2-bedroom / 2 bathroom Los Molinos within easy walking distance of the community pool and restaurant. Close to Bellaluz Plaza and other shops, restaurants and bars. Los Molinos with three bedrooms and 3 bathrooms in an elevated location with stunning views over La Manga Club and the Mar Menor. With reduced rates for golf. 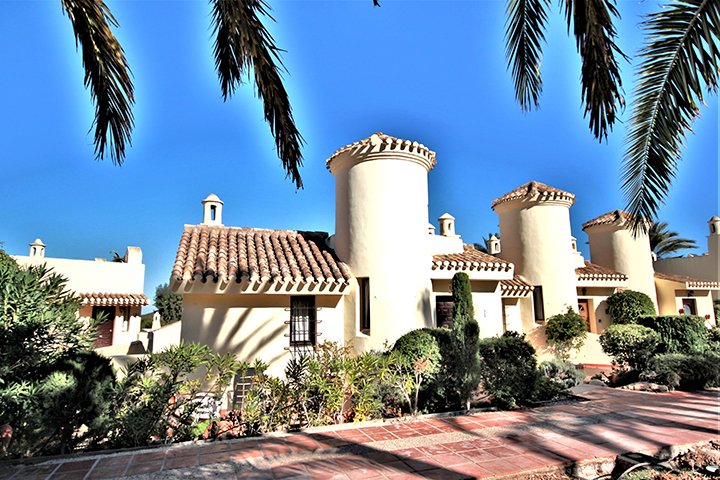 This Los Naranjos villa is located in the very centre of La Manga Club. The community has 2 pools (one heated). Three bedrooms and 2 bathrooms. Free WiFi. Three bedrooms and 2 bathrooms. South facing, very comfortable semi-detached community villa. Two community pools. An ideal central location for your holiday. Walking distance to the Tennis centre, football pitches, supermarkets, bars and restaurants. Centrally located this well furnished Villa with 3 bedrooms and Individual pool (heated) is an ideal location for your holiday with family or friends. A choice of sun terraces surround this lovely Villa. 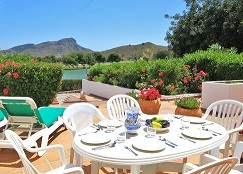 This delightful large Villa, set in landscaped gardens, is an ideal central location for your holiday in La Manga Club. Just a short walk to the Tennis centre, restaurants, bars and the Hotel. The pool and terrace are South facing. 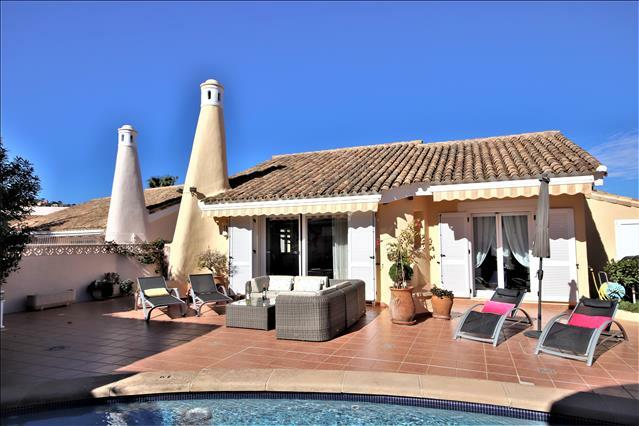 Beautiful and immaculately maintained family friendly individual villa, with 3 large bedrooms, one of which has an en suite bathroom. Private pool which can be heated. 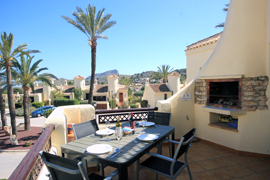 Located in a quiet cul-de-sac in the heart of La Manga Club Resort. 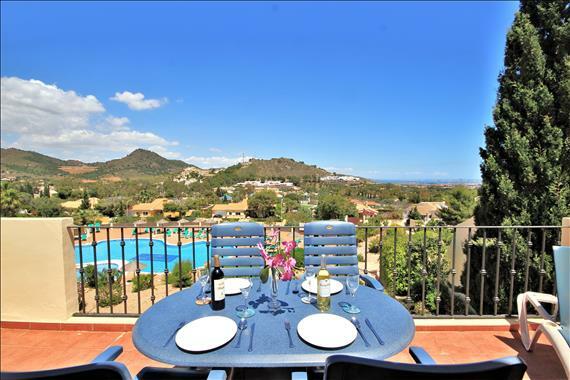 Centrally located in the heart of La Manga Club, opposite the Tennis Centre, this very attractive 3-bedroom Penthouse Los Olivos is an ideal choice for your holiday. 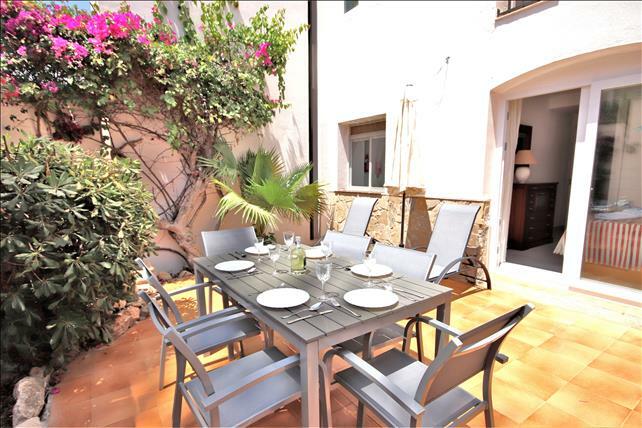 This beautiful, very comfortable 3-bedroom penthouse on the front row of Los Olivos has just been refurbished to a very high standard with new floors throughout, re-designed Kitchen, bathrooms and staircase. In an ideal central location for the Tennis centre and adjacent to the Par 47. 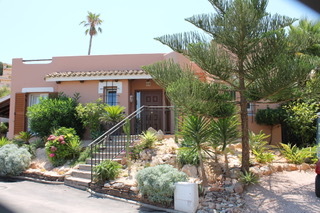 Also close to Bellaluz and Las Sabinas centres, with their bars, shops and supermarkets. Free WiFi access. 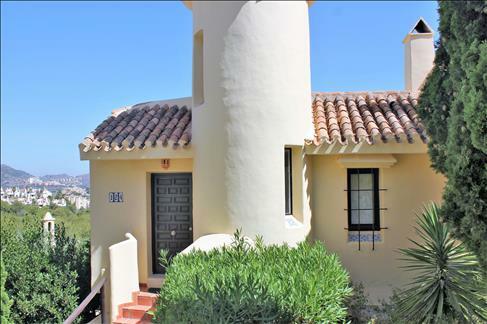 Beautiful penthouse apartment with 3 bedrooms overlooking the Los Olivos community pool. Fantastic views over La Manga Club and the Mar Menor beyond. 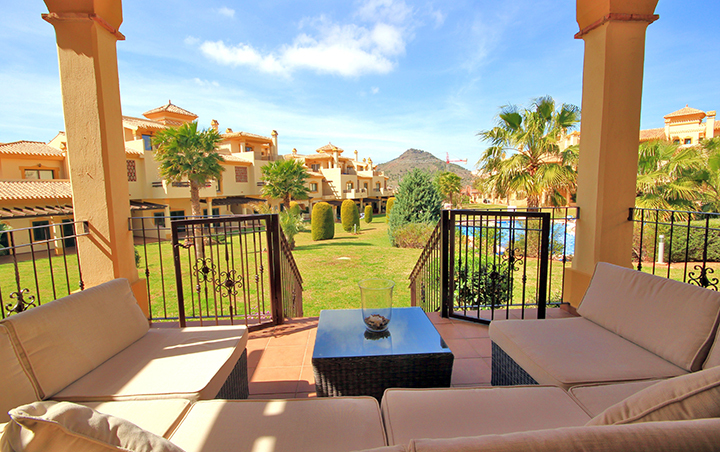 Two bedroom, two bathroom, ground floor apartment in the heart of La Manga Club - ideal central location - all year round. Centrally located, front row spacious first floor apartment - sleeps up to 7. Three bedrooms, two bathrooms. Views to the pool, La Manga Club & the Mar Menor beyond. FREE WiFi internet access. Excellent choice any time of the year. Superb contemporary villa with its own private, south facing pool. 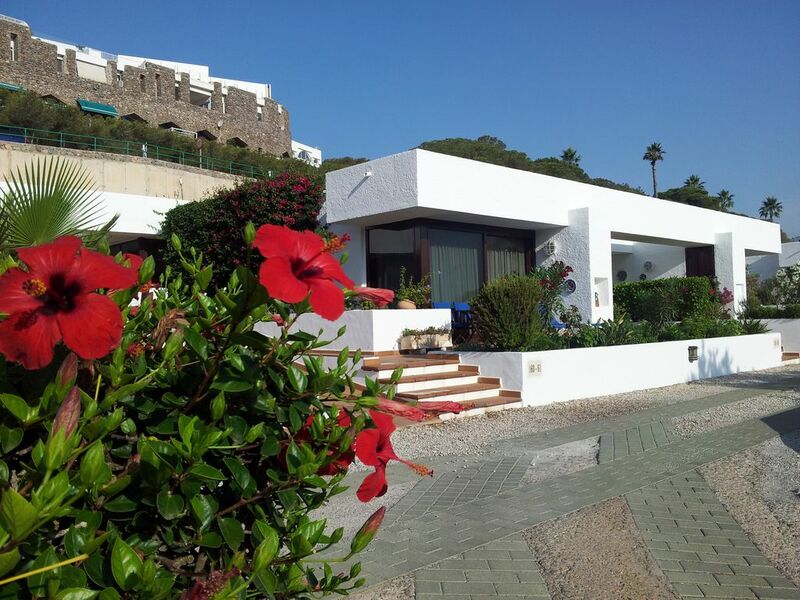 4-bedrooms/3 bathroom Villa situated in the heart of La Manga Club. An Ideal location for your holiday with family or friends. 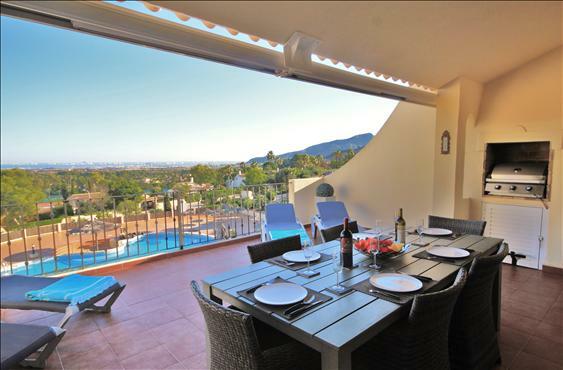 This comfortable and well furnished Monte Leon villa is set in one of the most exclusive and elevated settings within La Manga Club with stunning views overlooking the Resort and beyond to the Mar Menor. An excellent location for your holiday. Superb well furnished and equipped 2-bedroom Monte Verde penthouse apartment set in an elevated location with stunning views. There are two outdoor swimming pools and one indoor heated pool. Free WiFi access. Within walking distance to the local amenities. 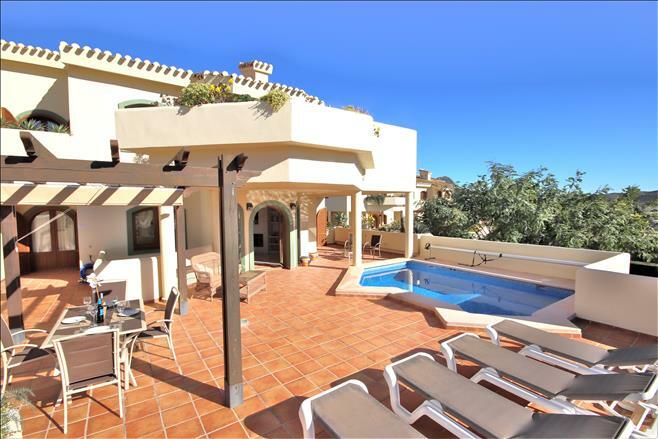 In an elevated location with stunning views over La Manga Club. Very well furnished and equipped 2-bedroom / 2 bathroom Monte Verde penthouse apartment . There are two outdoor swimming pools and one indoor heated pool. Free WiFi access. 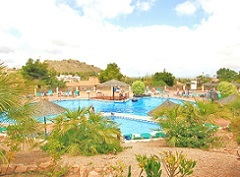 La Manga Club is a world renowned holiday destination on the Costa Calida (‘Warm Coast’) in the Murcia region of Spain nestling in hills close to the Mediterranean and Mar Menor inland sea. Famous for its sports facilities including three championship golf courses, a tennis centre with 28 courts, a Spa as well as a selection of bars, restaurants and shops all within the 1500 acre resort, it is an ideal location for taking a short break or a longer holiday with something to offer for all ages. Located in the heart of the resort, we are able to offer an exclusive range of rental properties from luxury apartments and community villas to individual villas with pools and are on hand to offer a personal service and advise on all aspects of your holiday.